Exploration no. 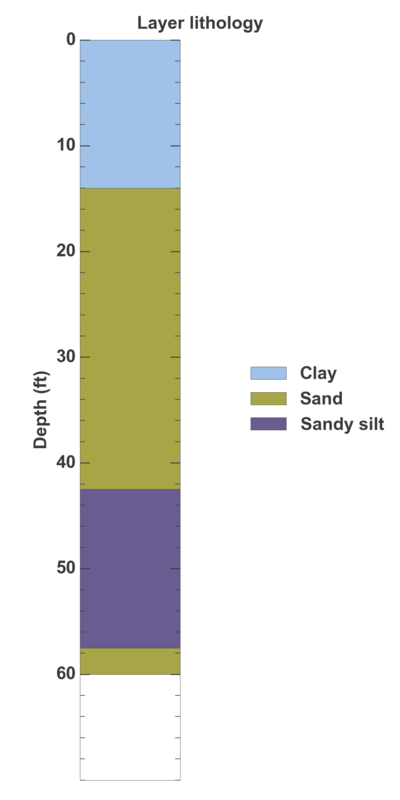 31195 is a Geotechnical (depth 60 feet) named: B-11 described in subsurface document no. 6023. The document, a report titled Soils Investigation, Elliot Bay Interceptor, Section 7 was prepared by Metropolitan Engineers on 05-31-1967 for a Utility project.